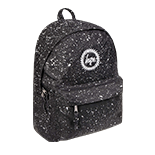 Bags and Backpacks are an essential accessory for everyday life and have plenty of purposes which is why here at Blue Banana we know you want a design that you will love. After all, with high-quality, durable backpacks we know you are going to be wearing your new bag plenty of times. Whether you need to carry your books to school or need a clutch bag for an evening out, there are so many occasions when a bag will come in handy that you may find yourself buying more than one. With so many bags to browse we have separated them into categories to make it easier when you are shopping online. You can see size guides for our bags too, so you can be confident they will have room for all your essentials. If you are searching for backpacks for travelling you will need plenty of compartments and space to keep your belongings organised. We recommend trying out a travel backpack because it will leave your hands free to explore and take plenty of pictures. With several brands to choose from you can enjoy plenty of designs from galactic to holographic styles. 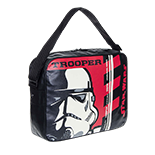 Some schools allow messenger bags and backpacks so if you have decided you would prefer a satchel style then you can enjoy pop culture bags or gothic designs. From your favourite superheroes to comic strip styles, these bags will look amazing and are the perfect shape to fit in all your books. Which team are you on between book bags and backpacks? 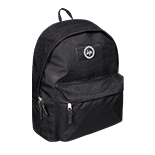 While one of our biggest ranges is backpacks we do also stock an awesome range of alternative styles. Our handbags range features plenty of vintage and gothic styles in various sizes. From compact clutch bags to large shoulder bags, you can select the perfect look for your outfit. Among other brands we stock our very own Blue Banana brand bags and plenty of Banned handbags too. Like we mentioned earlier, there are so many purposes for bags. You have heard about our backpacks for school and you know all about our range of gorgeous handbags for your evening look but what about bags for shopping? With stores now charging for plastic bags all across the UK, it makes sense to bring your own right? Your shopping bag doesn’t need to be dull. We know you will want your bag to match your style, especially if you are heading to the high street for some retail therapy. Our tote bags are soft fabric foldable bags which can easily fit in your handbag or rucksack ready for when you make an unexpected purchase. This style of bag can also be great at the beach for storing all your essential beach accessories. If you are looking for comfort when you carry a bag then why not try out crossbody bags? This style is perfect for people who don’t like carrying a handbag and prefer a bag with a longer strap. The crossover effect should help you feel more comfortable with the weight of the bag and will leave it closer to your body. The Hype Roadman range is a great example of this style. It is compact and therefore perfect for holidays or walking but is has enough room for everything you will need. If you want to take your hands-free bag experience to the next level then we know you will enjoy the bum bags in our bags for sale. These compact bags clip around the waist and have several secure zipped compartments. 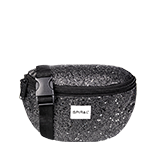 Bum bags or fanny packs are quickly becoming festival essentials and we think they are great for day trips and theme park adventures too. 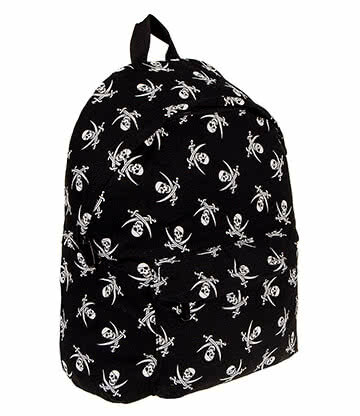 When we think of bags we tend to automatically think of backpacks and handbags but here at Blue Banana we also offer a range of make up bags. We offer a range of single makeup bags and 5pc sets to help you keep your collection organised. These zipped bags will keep all your items neat and ready to use. 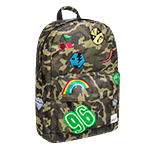 If you are searching backpacks for college then we bet you would love to look at school backpacks or would perhaps love a colourful style. The great thing about these categories is it gives you the freedom to explore your style. You can easily search backpacks for men in our cool section. Search awesome space inspired designs or enjoy one of our Hype styles. All our bags and backpacks are unisex so if you find a style you love then we know you will have plenty of fun pairing it with your outfits. When people search backpacks for women they are often looking for mini backpacks which can be used instead of a handbag. You will be pleased to hear we do stock a range of smaller backpacks which are perfect for this purpose. From fun character designs to trending fashion styles, we try to bring you the best designs. As you can see there is so much freedom when it comes to choosing a new bag or backpack so if you are just starting to discover your unique style then this is the perfect time to try out a new bag. When you are searching backpacks for teens the possibilities are endless! Will you follow the trend or will you try out something completely different?